Lots of comfy seating for all of your family and friends. Fully equipped kitchen with bar seating for two. Dining with a view! Seating for 6. Mountain views from every angle. Master bedroom on the upper level with king size bed and private full bath. Sitting area with a view from the loft! 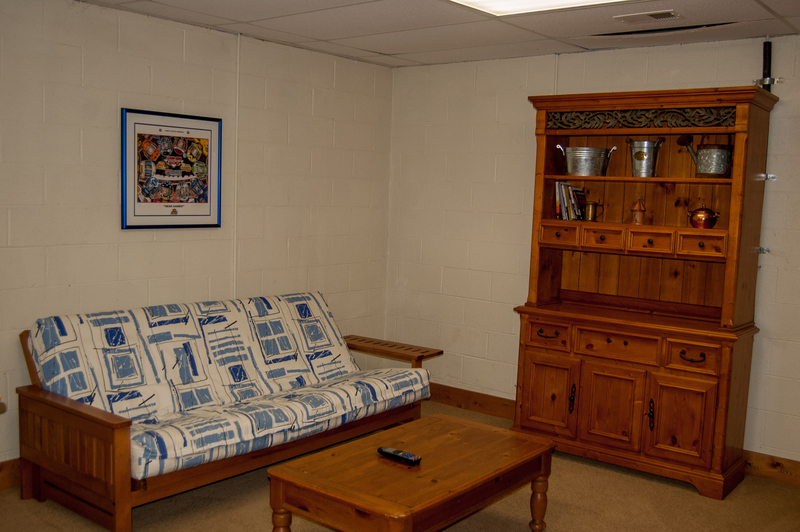 Lower level game room with futon. Mountain Views, River Access and a Waterfall! -	Walking trails to the waterfall! 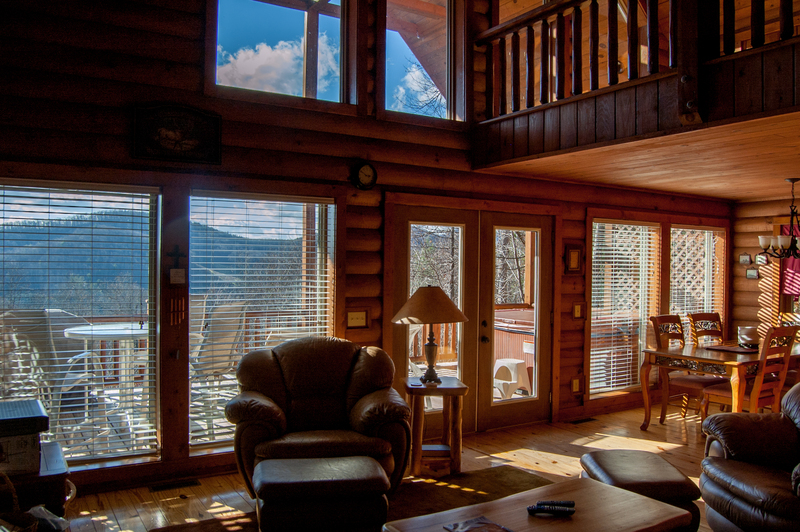 What are you looking for in a mountain cabin? How about ambiance, serenity, comfort and a killer view? 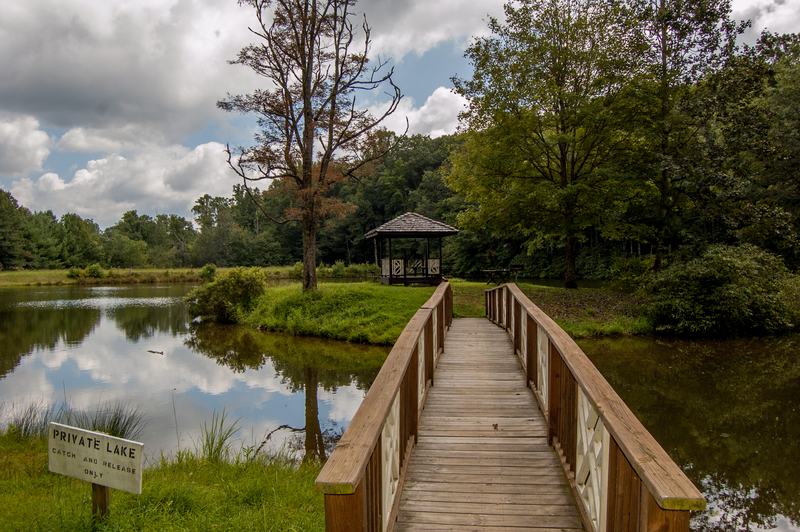 Throw in a community lake, a great location, and direct access to the New River and you've got a guaranteed winner! Cabin Sweet Cabin has everything you're looking for in a mountain vacation. The home is beautiful, with a rustic log exterior, a homey and inviting interior and a big deck for catching the view and the gentle mountain breeze. This is exactly where you want to come for that R&R you so richly deserve. 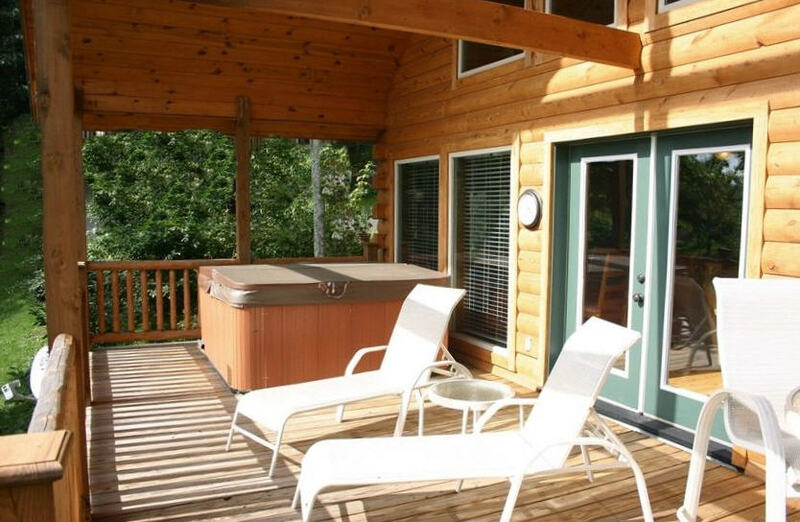 Enjoy a cook-out on the deck and then jump in the hot tub for relaxation, romance or star-gazing. Once you've melted away the tension of city life you can come inside and cuddle up by the fire, or gather around the TV with popcorn and your favorite beverage. This home is loaded with amenities to help you enjoy your time here. For starters, there's lots of space to spread out in, with 3 levels, each with its own TV. The kitchen is well-equipped for meals and entertaining, so you don't have the hassle and expense of going out every night. The open floorplan is perfect for gathering, socializing and staring at the view from the magnificent wall of windows. The main level includes a great room with entertainment and dining space, as well as the kitchen, bath, and 2 bedrooms - one with a queen-sized bed and the other with a queen/twin combination bunk bed. The private master suite is located on the upper level and includes a private full bath and a king-sized bed so you can stretch out and sleep soundly after an active day. There's also a private sitting area in the loft, with a beautiful view and a futon. 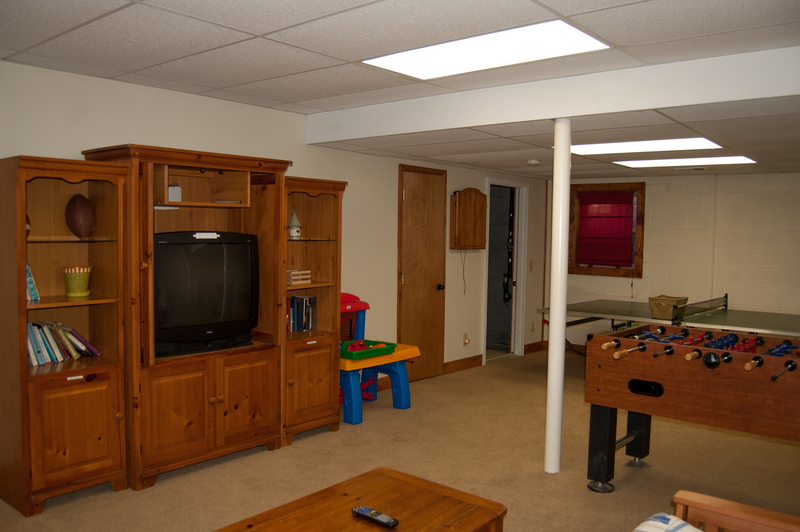 The lower level is equipped for full-on family fun. There's a ping pong table, a foosball game, a flat-screen TV, and plenty of seating, including another futon to accommodate extra guests, and a half bath. Now let's talk about the location! 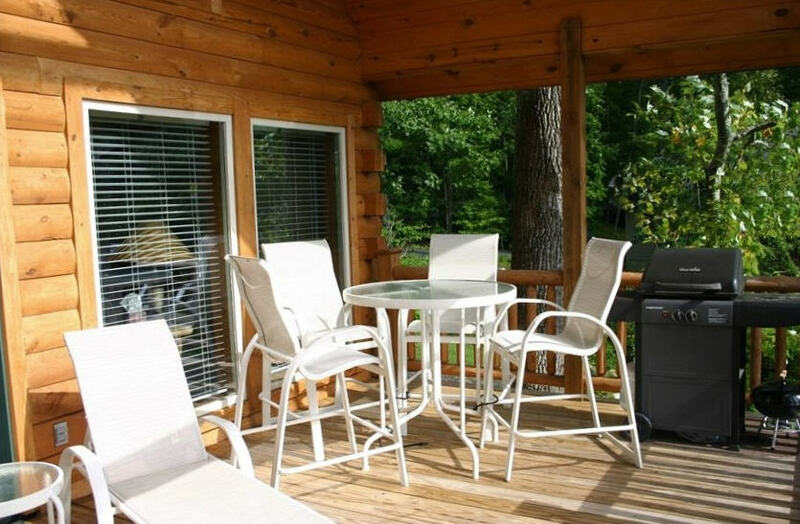 This cabin is located in a charming, private, lakeside community that offers direct access to the New River, as well as wonderful amenities at the lake. 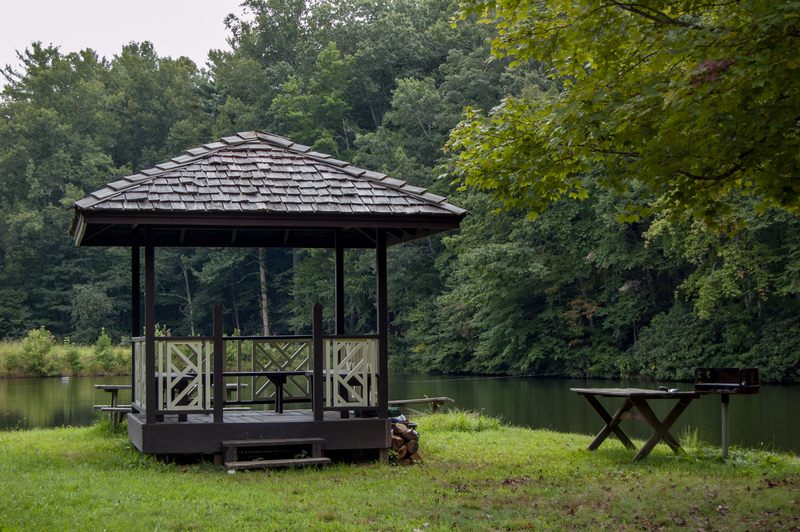 Enjoy a cookout at the picturesque lakeside gazebo, or take an easy hike to see the waterfalls. 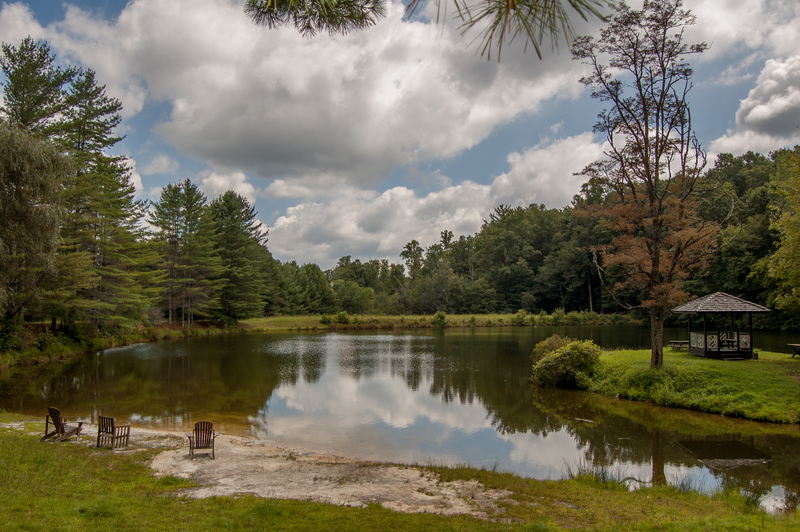 The lake also allows swimming, fishing and paddling (no motorboats to spoil the ambiance). 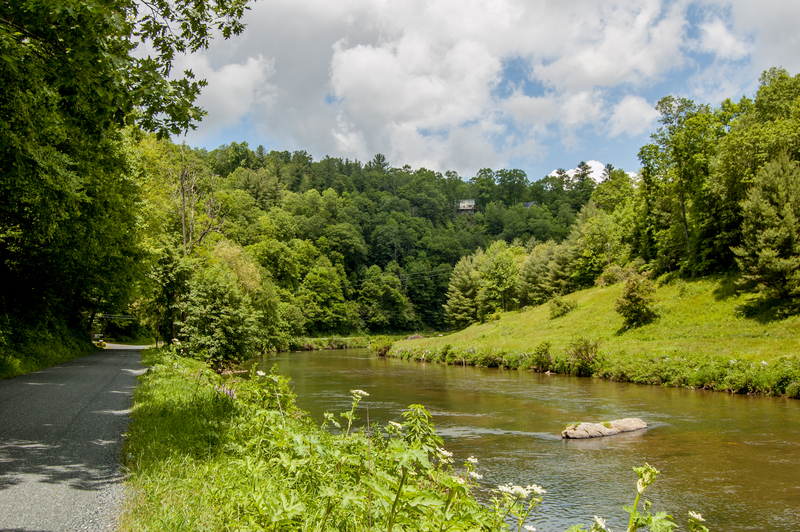 The community's common area along the New River gives you great access for fishing, swimming, tubing, kayaking and canoeing. The New is a serene, pastoral, slow-moving river, safe for adventurers of all ages. 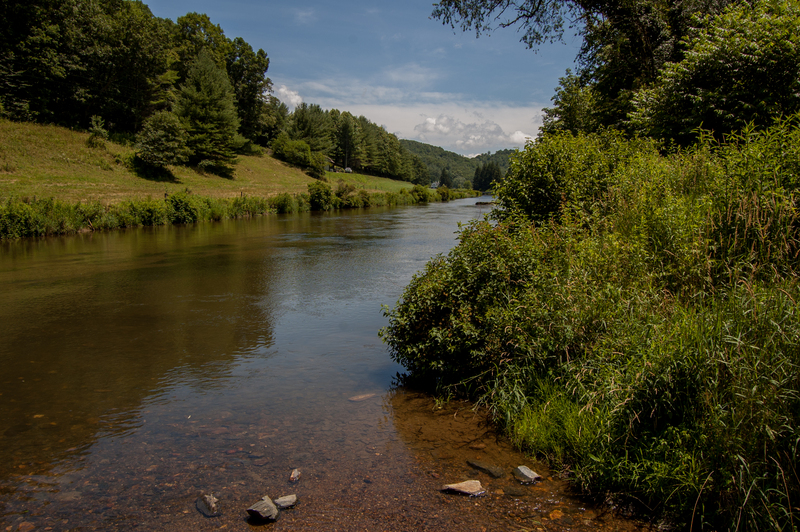 If you're not set up for river fun, both the RiverGirl Fishing Company and the New River Outpost in nearby Todd are eager to hook you up with everything you need. 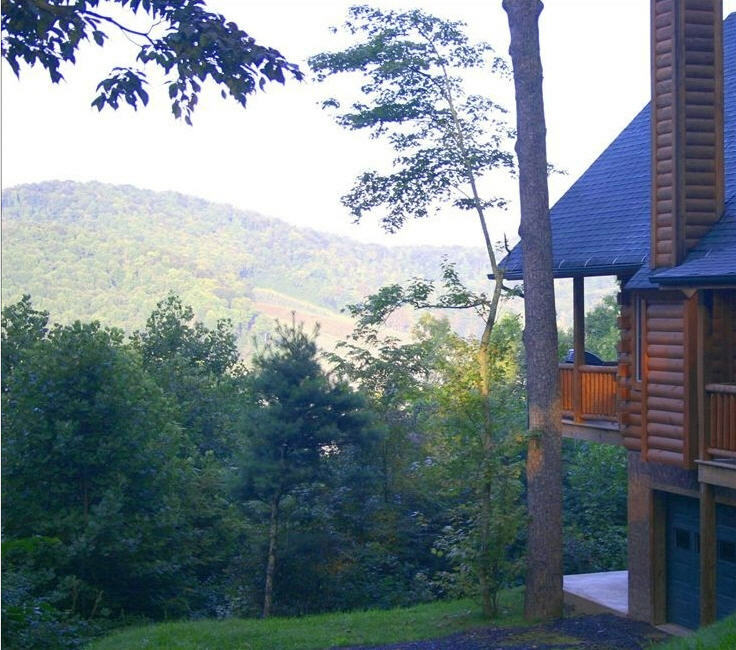 Cabin Sweet Cabin is located at top of the community, at an elevation of 3500 feet above sea level - perfect for escaping the summer heat of North Carolina's lower elevations. Within a scenic 20 minute drive you'll find the quintessential mountain towns of West Jefferson, Boone and Blowing Rock. This picturesque towns offers restaurants and a wonderful array of shopping, including antique stores and art galleries. This is small-town Americana at its finest. Summertime offers activities like hiking, biking, golf, horseback riding, caving, photography and, of course, a wide and wonderful assortment of water/river fun. Fall foliage is indescribably gorgeous. In the winter enjoy tubing, sledding, snowboarding, skating and skiing all winter long. Whatever the season, this is the place to be. "We had a great time,can’t wait to come back "
"Great weekend getaway home! Especially loved how well the road is marked to help you find the cabin. Great views!" 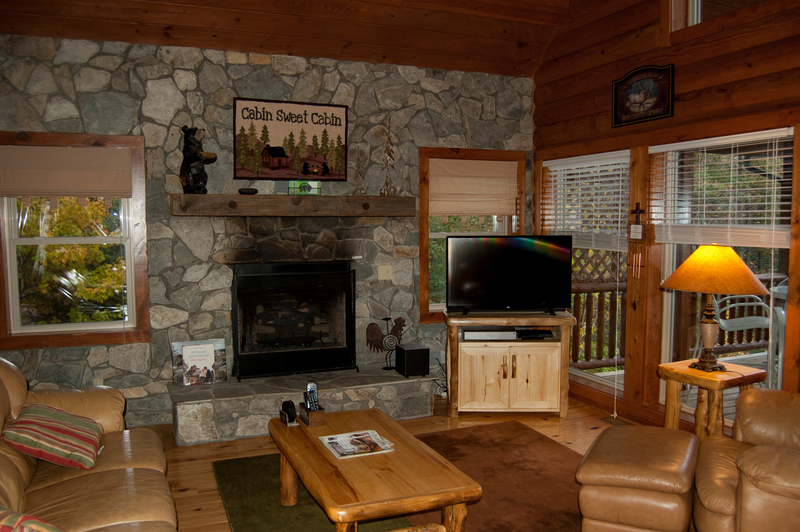 "We thoroughly enjoyed our stay at “Cabin Sweet Cabin.” It was so clean and well furnished and the decor was great. Location was centralized to Boone, Wilkesboro, and West Jefferson. Couldn’t have asked for a better stay!" "Very satisfied and highly recommend "
"This house was amazing! The pictures do not do it justice! The upstairs master bedroom/bath and sitting area was more than imagined. The kitchen had all the amenities one could need. The house layout was perfect and very clean. We were hesitant about the winding roads and the drive up so previous reviews helped and arriving before dark is definitely a must! We cruised around the next day and figured out the winding roads so it was easy to get around after that! The view from the back porch while soaking in the hot tub was more amazing than imagined!" "Great propertty. 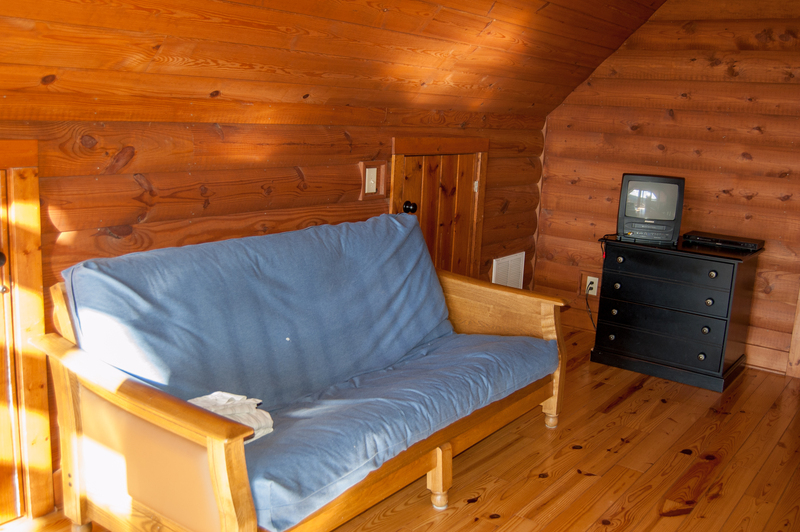 Our 2nd year booking this cabin and we would and will book it again." 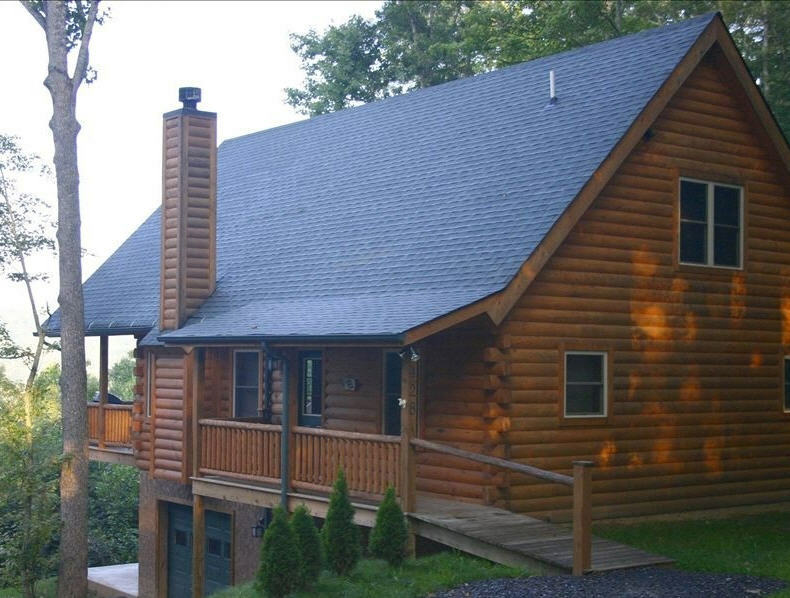 "We had a wonderful experience from our stay at Cabin Sweet Cabin. From the beautiful view, to the fantastic large porch, hot tub, game room, to the overall cozy feel of being in the mountains. It was just wonderful!!" "The cabin was amazing! Beautiful view, comfortable furniture, spacious, and very thoughtfully appointed with everything we needed to enjoy our stay. All sorts of 'extras' like tray tables, extra towels, books & games, kids toys & movies, etc. My favorite part was the hot tub under a soaring 3 story porch, so it felt wide open to the view, but was still protected from the rain we had one night. The only downside was the neighborhood roads which were beautiful, but steep & winding. I would not like to do it in bad weather. Overall, this cabin was definitely a winner! " "We had a great time at cabin sweet cabin and would definitely return ! You all were very flexible also as we were surprisingly also snowed in for a couple hours but also did a great job plowing the roads for us. We got a chance to ski and have a lot of fun as well !! The only thing I was looking for was a guest book at the property to sign and see great reviews about the stay ! We would certainly return next year !! Thanks again "
"We had a great time and the cabin was beautiful!" "If you are looking for a place to get away from it all this is your spot. Cabin has everything needed for the perfect getaway. Away from everything and a quiet retreat from the craziness of everyday life. Very clean and just as advertised in photos. " "The cabin was great, small flurries covered the air like glitter and the all wood feel was extremely cozy. Plenty of room for all. The hot tub was perfect! Even though the house has neighbors it feels secluded. The drive was scenic and a bit interesting. I am unsure how often those bridges go out but the river was almost overflowing them." "We had a great time. Our family loved staying there. " "We drove up from Hickory as it began to snow, the cabin was great as and the snow continued to fall, it was a winter wonderland. We enjoyed the fireplace and even tried out the hot tub with a blanket of snow in the ground. Everything was wonderful until we decided we could get out and take the grandchildren to Tweetsie to ride the Christmas train. When returning to our cabin that night the roads were covered with snow and ice and we slide off of the road. We were little over 1 mile from the warmth of our cabin as we began our journey in the snow walking back to the cabin. Children in tow with only a light from our cell phones. We were making memories and telling stories to keep the children from being afraid. We said our prayers hoping to get back safely, finally we could see the neighbors Christmas lights in the distance as we began to approach our cabin, we knew god had been with us on this beautiful snowy night. We got back in safe and warmed up by the fire before bed. We woke up the next morning and began our plan to get the car out. We called a local tow service that was provided by the rental company who come towed our car out of the ditch and to our amazement, it did not have a scratch on it! The property manager at the rental company was more than accommodating giving us extra time to get our car out before we had to check out of our cabin. I assumed we would be charged an additional fee, but she was very gracious to us. So, we had a wonderful time, definitely had some great/ scary memories and would love to come back to Cabin Sweet Cabin but we may opt to do it in the spring, summer or Fall! "I loved this place very clean everything works great. A weekend getaway for my fiace bday with friends and kids and all the comforts of home except the stress loved the hottub and deer that come up at night "
"My husband, two children and their two friends (middle and high school) had a wonderful stay in the cabin. I'm really particular about cleanliness, and I'd give this 5 stars. The linens were the nicest of any vacation rental we've stayed in, with an abundance of good quality bath towels. Kitchen is small but nicely stocked. The decor is very charming, and the views of the lower nearby mountains and Christmas tree farms were so peaceful. Although the cabin is in a development with well-paved roads, they are somewhat steep and narrow -- not the easiest in the dark. The 10 minute drive from the main highway to the cabin isn't all that well marked. That was the only downside for us to this wonderful cabin." Thank you for the wonderful review. 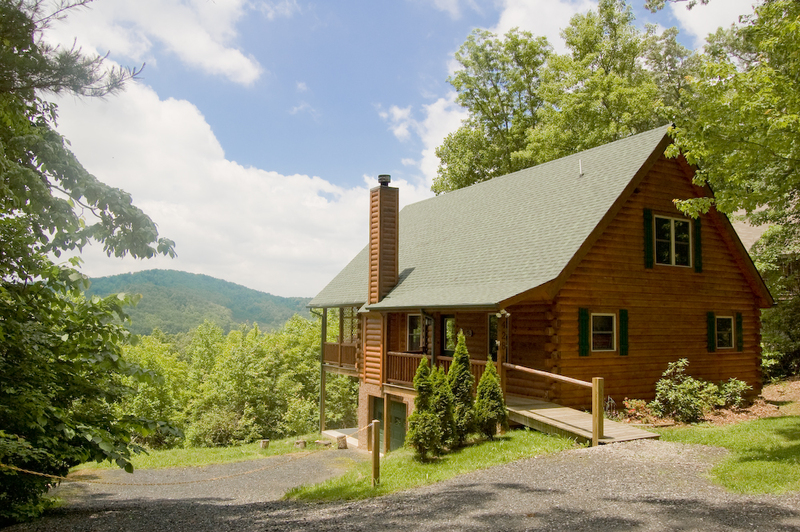 Future guests: Cabin Sweet Cabin is located off a scenic, paved secondary road called Railroad Grade Rd in Fleetwood, NC. 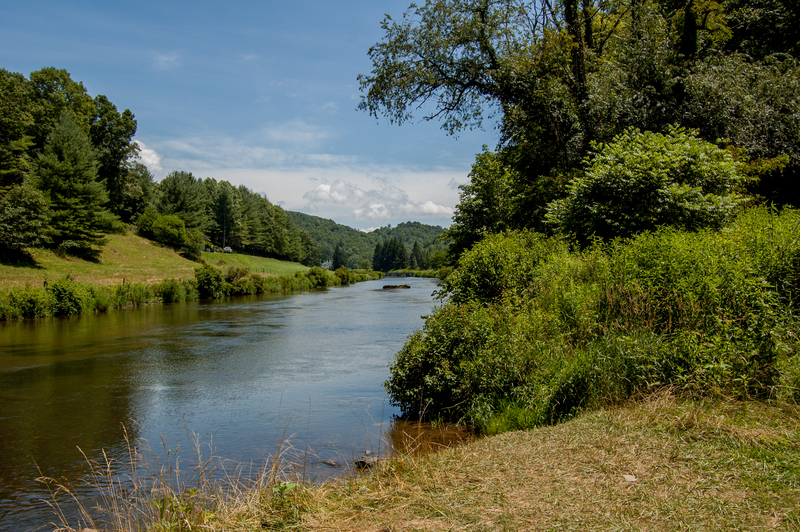 The entire length of the road is outlined by the historic New River which flows throughout the entire area and is a recreational treasure for many who love fishing, kayaking, tubing and swimming. Between the River and the Mountains our roads can be more narrow and winding so if you're not as comfortable navigating in this terrain we highly recommend arriving before dark. It's worth the drive! "We loved our stay at cabin sweet cabin great view ,very beautiful place we can't wait to go back "
"Cabin Sweet Cabin was a very nice rental property. My family I enjoyed our stay and felt at home in the rental. We would highly recommend it to anyone!" "My family and I meet in N.C. every other month to fellowship with one another and catch up. This cabin was one hundred percent five stars from the elegance of the craftsmanship in the cabin to the customer service of the rental agency. Peaceful sleep, laughter and love were the benfits of choosing this cabin as a fmaily. The views are stunning and provide photo opportunities inside and outside the cabin as well. We did no twant to leave and we would most certianly recommend this home to our friends and family. We hope to book again very soon! " "Wow, in all the years we have been renting, Jerrita has never disappointed us. This two bedroom cabin is perfect. 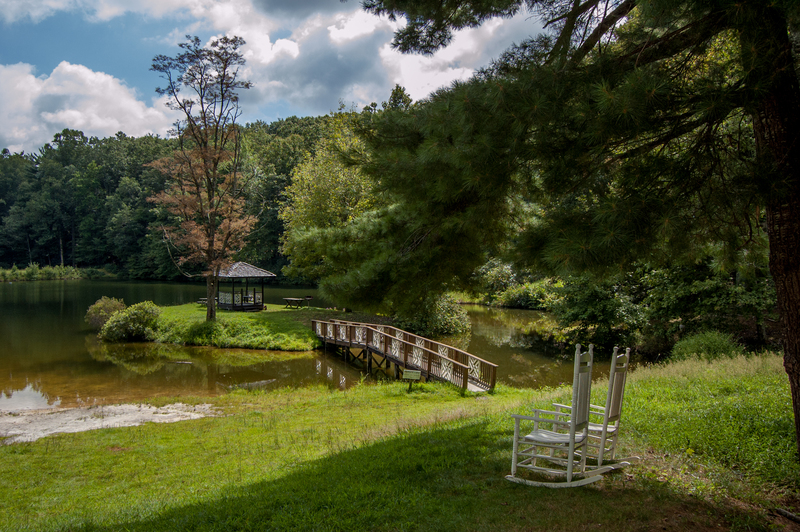 Nestled in a lovely neighborhood, near a Dollar General fruit and veg stand for necessities and in the heart of the trifecta of Boone, Blowing Rock and Wilkesboro. This cabin is as suitable for those looking to retreat as those who wish to explore. You want for nothing. Grilling and hot tubbing on the deck-sublime, rafting and kayaking-a blast and sumptuous dining. Do not miss the Boone Farmers Market and lunch at Taqueria El Paso. This is the perfect spot for a perfect vacation! "We were 2 couples and 2 dogs staying in Cabin Sweet Cabin for a few days and it was great. The cabin was a perfect home base for all the hiking we had planned during our stay. At first I was a little bummed that it was in a neighborhood and a cabin in the middle of the woods. However, the neighborhood was AWESOME (my husband and I can see ourselves buying property there one day!) and the neighbors were great! It was easyto get the West Jefferson, Blowing Rock, Boone and the Parkway and had everything we needed. My only complaint was that there was not a lot of storage room in the kitchen for the food/items we brought. We cooked almost all of our meals and didn't have much space to store non-fridge items. Fortunately, we weren't using one of the bedrooms near the kitchen, so that became our makeshift pantry. If one cabinet or cabinet shelf could be cleared out, that would would be great. Otherwise, perfect stay!" "The house was clean and well stocked with everything you might need. Even a game room for when we needed a break from the wonderful fresh air! Beautiful views of nature the night sky and even deer! We had such a wonderful time we stayed an extra night!" "It was very nice. The only thing to mention is that the bottom dish stacked in the cabinet was broken. It had been broken and placed at the bottom of the stack so nobody would notice. We blew a breaker, but the after hours mgmt folks gave me the combination to the lock box downstairs so I could reset. A very nice property." Thank you for your response. Thank you also for letting us know about the broken dish. We are glad that you enjoyed your time here. Thank you for staying with us and we hope to see you again! "We walked in to the cabin and the children and ourselves are where in wow as we went room to room soaking in the beautiful cabin. The kids find the downstairs game room and fell n love. The Wife and Myself spent the most of or time on the lovely deck overlooking a amazing view of a mountain. The upstairs bed is where we slept and it was a huge bed! We both think it was the best bed we ever slept on! Was truly had a very peaceful, relaxing, and joyful time!" Thank you for your review! We are happy that you had a very peaceful, relaxing and joyful time! Don't forget it is the season for pumpkin patches, corn mazes and the color of autumn! "My husband & I and our children & grandchildren had a wonderful time! My children grew up coming to Fleetwood Falls & staying in my Brother & sister-in-law's cabin, but we have outgrown it by Cabin Sweet Cabin was perfect for all of us! From the beautiful view, the beautiful kid friendly cabin, toy box full of toys, beautiful deck & hot tub, the lake to fish & swim in, the New River to tube down & for the kids to skip rocks in & the grandkids to play in & so much more! We were so thankful for the time that we got to spend together! And it was almost across the street from my brother & sister-in-law's cabin in which they & my mother & father-in-law stayed. We are already planning on trying to book it again for next summer....our children & us want to continue making memories with their children & our grandchildren, just as we did when they were growing up! Memories that last a lifetime in God's beautiful mountains & all His other beautiful creation! " "It was just what we were looking for: the mountains, quite, peaceful, clean, welcoming. Thank you." 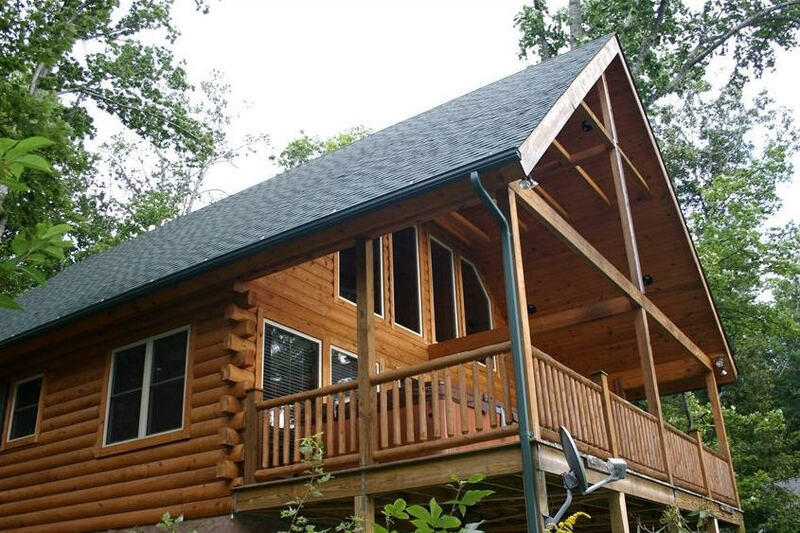 "We knew it would be great from the pictures and description on line, but this cabin exceeded our expectations. Every detail was lovingly thought out. We loved the books, decor and finding saran wrap, spices, laundry liquid, coffee bags and more. We stayed in the cabin all weekend with the exception of our graduation outing. We just wanted to enjoy the cabin and its amenities. The only downside was that our stay was too short. This place has everything. We would love to return!" "Cabin Sweet Cabin was perfect for,us. The drive along the New River was beautiful, and the cabin was comfy. Beds were great, which is often overlooked. Plenty of space for our mafily of four, and on the one tainy day, we had ping pong and fooseball competitions in the basement!! The Fleetwood Falls area was really cool. Tight paved roads through the community made for real mountain living! Only 20 minutes to Boone and 30 to blowing rock. Would definately stay again." "Nice peaceful neighborhood. We hope to come back and explore the area more in the near future. House was great as described." "The view is worth everything! The cabin was awesome and we will stay there again. There were 2 grills there. So, if you like to grill, you will be in heaven. Super clean and the bead was very comfortable." Thank you for the wonderful review. We were in the process of getting a new grill so the loaner grill was still at the property during your stay. It has been removed so there's really only one grill in place now but it's a really nice, large sized, propane grill and ready for your summer vacations! 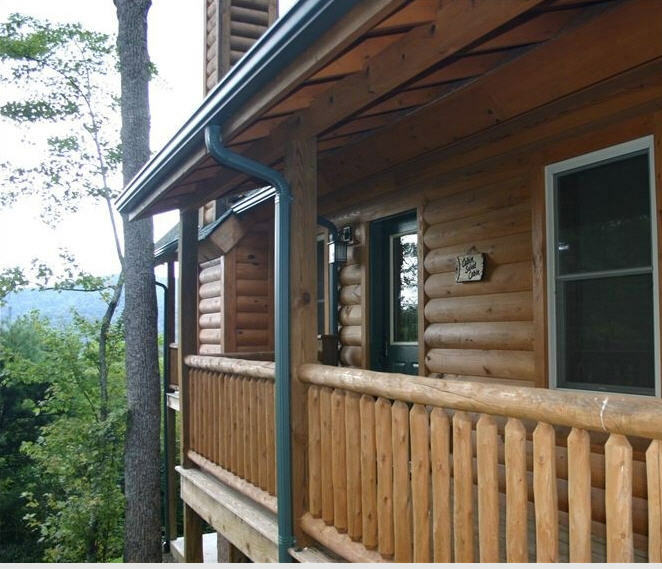 "The cabin is very well maintained and located in a very nice lot overlooking the mountains. Great area to keep well fit with challenging trails. " "We had a great time at Cabin Sweet Cabin. The view was beautiful as was the cabin. The game room was perfect for our kids. 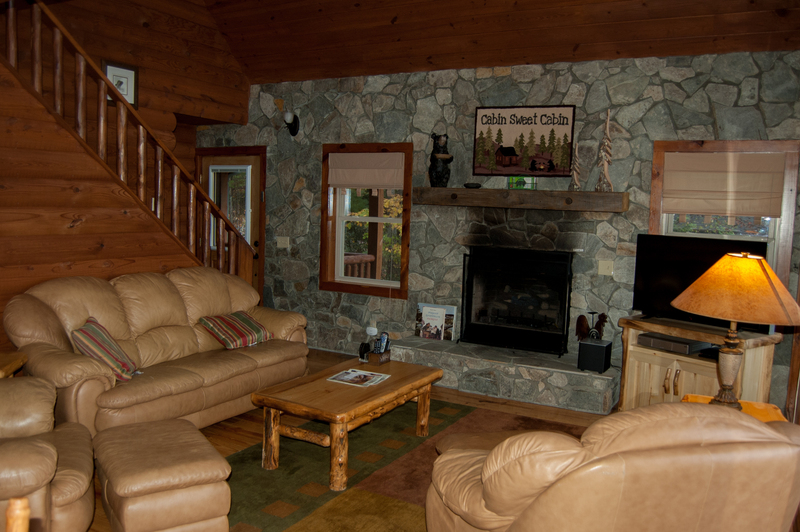 There was plenty of space for the family to spread out and relax or cozy up together in front of the fire. " "We enjoyed our stay in this cabin. Home has everything you need to have a good time! " Thank you for stopping by our office in West Jefferson, it was nice to chat with a fellow vacation home owner. We're very sorry to hear the cleaners missed replacing the shower curtain and have since taken care of this. Thank you for bringing that to our attention. Overall we're glad you enjoyed your stay and look forward to having you again. Future guests, please take a few moments to read through all the many 5 star reviews. 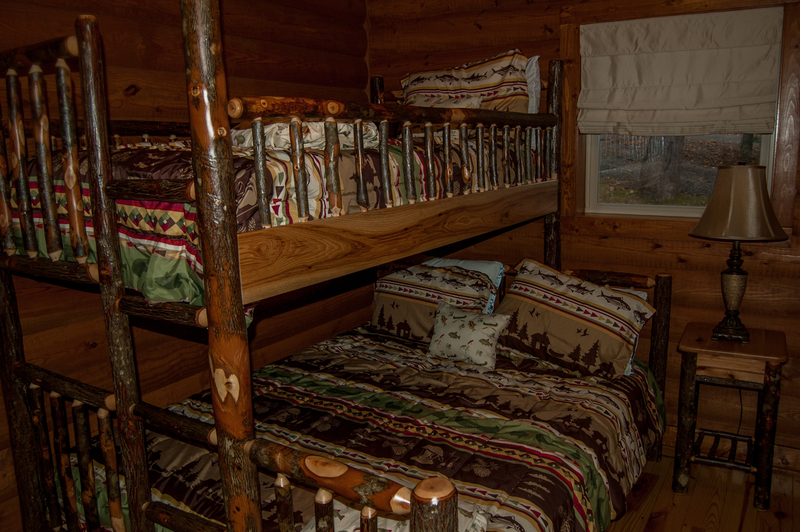 Cabin Sweet Cabin is a favorite among many of our vacationers who come back year after year! "This rental property exceeded our expectations. 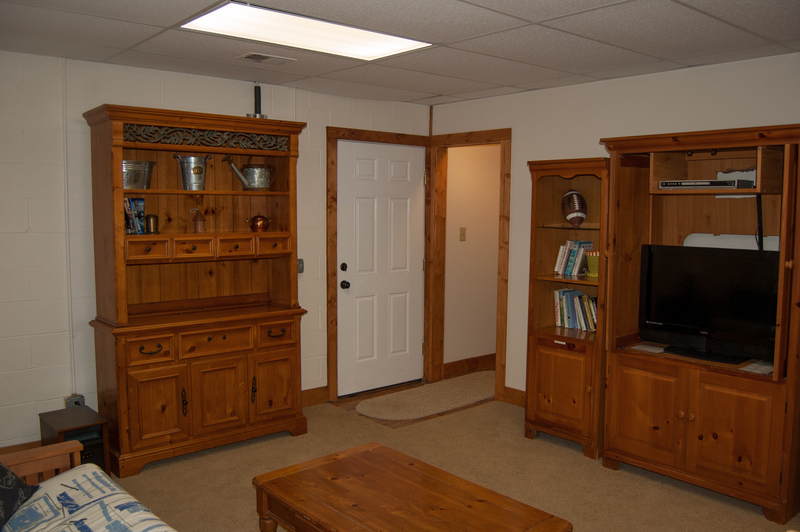 The property was very clean, cozy, and very well kept and comfortable. Im funny about using othe peoples jacuzzis but since the house was so clean, I felt comfortable using the jacuzzi.And the view of the stars and moon at night...amazing! It's a Little further away from town than we hoped, but the views were so pretty, we didn't mind the drive. Would definatelty rent this property again! It's truly home away from home." "Fleetwood is Location, Location, Location!! My wife & I LOVE the Fleetwood area!! We can't wait to go back!! W.Jefferson is such a BEAUTIFUL AND quaint Town with so many shops & GREAT Restaurants/Pubs/Cafes. We ran out of time this trip trying to enjoy them all." "The place was neat and clean, only issue was hot tub a little older and had a small leak." 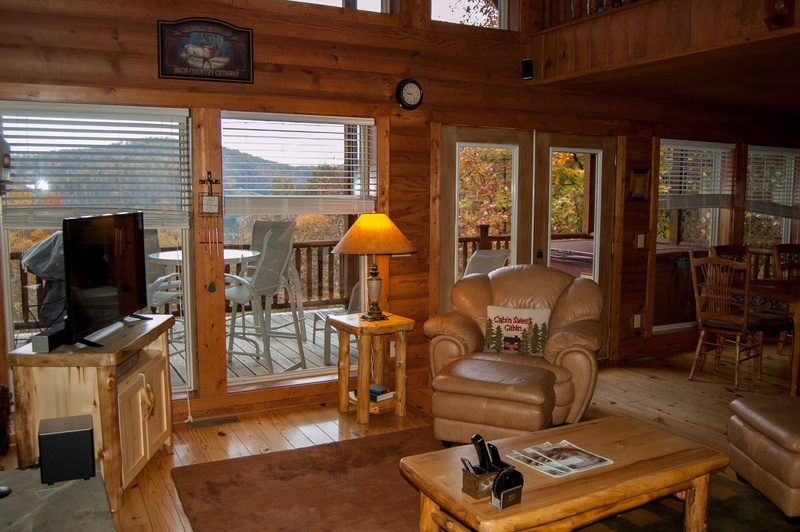 "From start to finish, this is a great choice for a getaway in the North Carolina mountains. The cabin is in great shape with beautiful views. There is a nearby lake with catch and release fishing and access to the New River is great as well. We worked with Jerrita in making our arrangements and she is wonderful. We definitely will return!" "I took my 2 sons and their friends away for a trip west and Cabin Sweet Cabin had everything we needed to make it a good visit. Enough stuff to keep them busy when we weren't out and about." 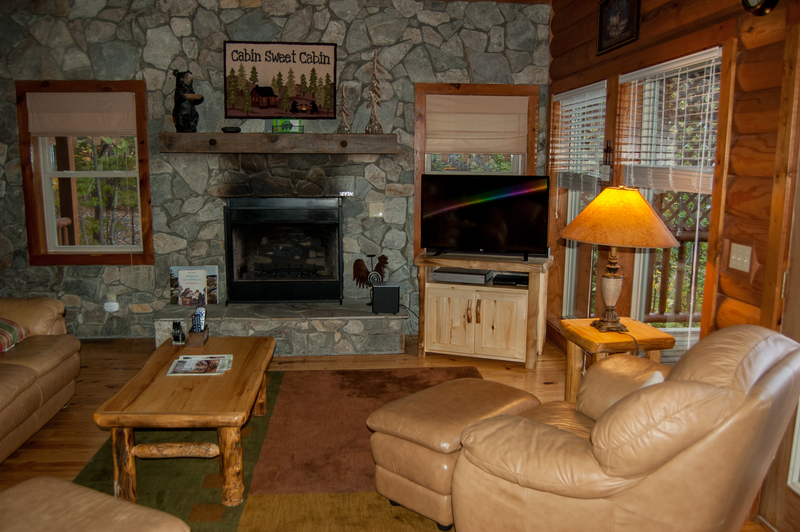 "My family and I booked this cabin at the last minute and everyone at Ashe High Country Vacations was very helpful with getting everything lined up for us. The cabin was exactly as described on the website. Everything was clean, up to date and ready for us. It's about 5 minutes from the New River with convenient put-in and take-out points for canoeing, kayaking or tubing. Overall, a great, relaxing vacation. Definitely would recommend this cabin!" "It was great. Everything was there that we need for our trip and the view was amazing." "Choosing a vacation cabin for me was a bit stressful. Pictures these days can be deceiving and pricing doesn't always deplict quality. Not so in this case. It is a beautiful place with a great view. No disappointments at all! 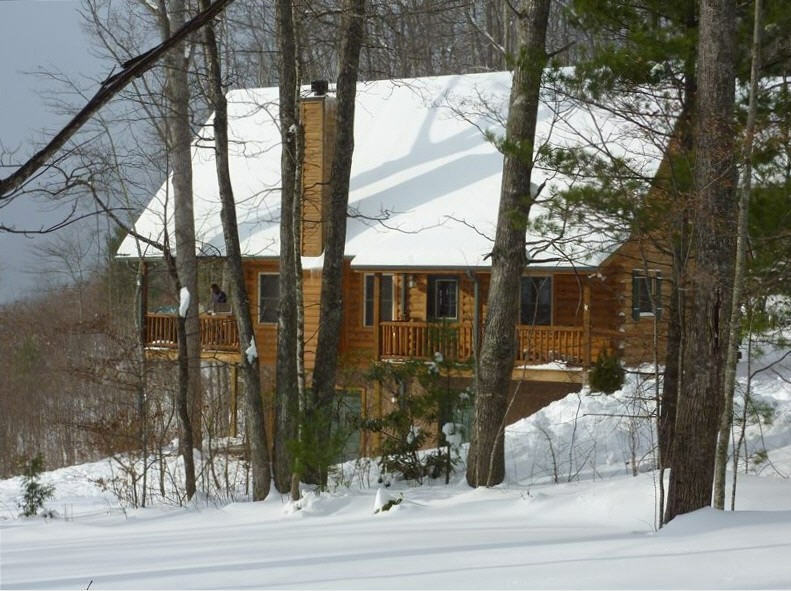 It offers the feel of a community with the privacy of a secluded cabin. The management company was phenomenal. Very helpful and responded quickly. We emailed in one evening that we thought the hot tub might need some treatment. Judy with Ashe had Jason (the hot tub person) there first thing in the morning. It was such a treat to have our dog with us and keep a normal routine walking - breakfast and dinners at home - with great motorcycle rides during the day. If you are a flatlander like us a few words of warning. The ride up to the cabin in a truck pulling a trailer was a little different for us. Our walks - ouch! Some pretty steep hills :) "
"Property description is accurate. Property was clean and well maintained. Everything was great. " "We loved the cabin. It was perfect for us and our kids. They enjoyed the play room and the view was great! So cozy, want to live there!" 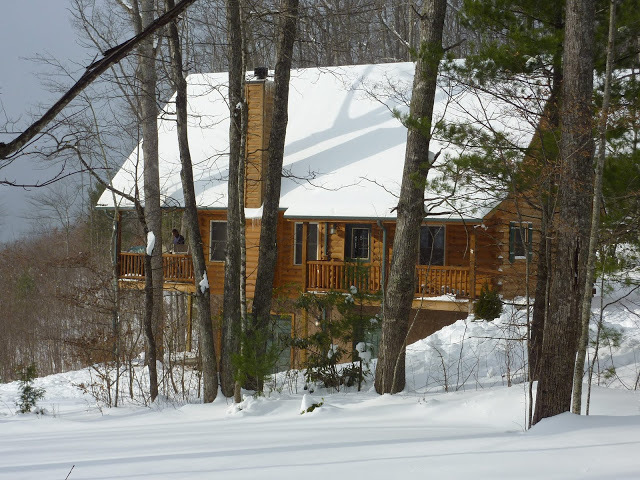 "We thoroughly enjoyed our stay at this well maintained cabin. Another family and ours stayed here together. The kids played most of the time in the fun basement and the hot tub was enjoyed too. The location was easy and close to the town. We would def stay at this house again!!!" "We stayed at the cabin during the week of Christmas. 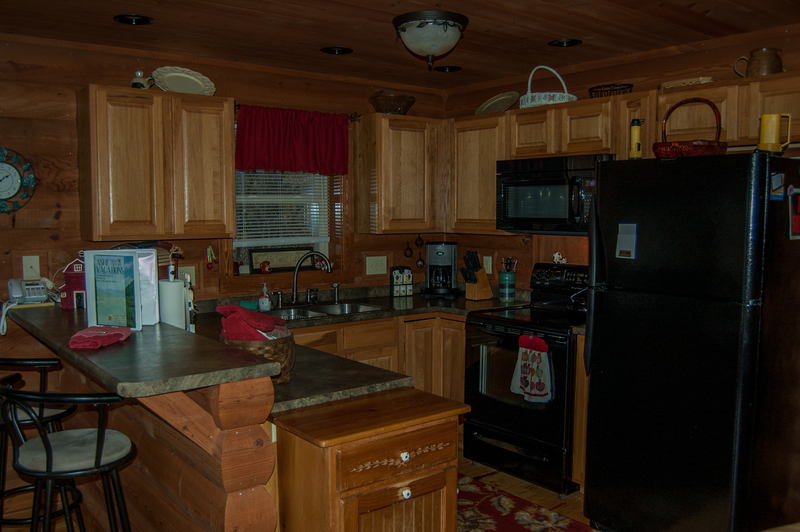 The cabin was very clean and the property management was very helpful. The only suggestion I would have is that the downstairs game room was a bit cool and the sleeper sofa that was down there and was uncomfortable." "Home was very clean. Well equipped. Loved the hot tub and bedding accomodations. The only thing I would change is that you can leave 3 loads of laundry. If you use all the bedding and the towels that are provided then it will take 3 loads. The w/d is small and does not accommodate large loads." "The cabin was clean and stocked efficiently. There was plenty of wood to burn in the fireplace. The view was great. The rental agents were very helpful and accommidating. " "Enjoyed stay very much,would stay longer next time!" "Second visit. We enjoy the quiet. Five inches of snow Saturday morning was a nice surprise. If you come and there are more than two people, bring your own eating utensils. Very limited kitchen." "Overall, the house was great. The location of the house is nice. It had great views. The only issue was the condition of some of the mattresses on the beds. The mattress in the pull-out couch should definitely be replaced. Other than that, it was great. 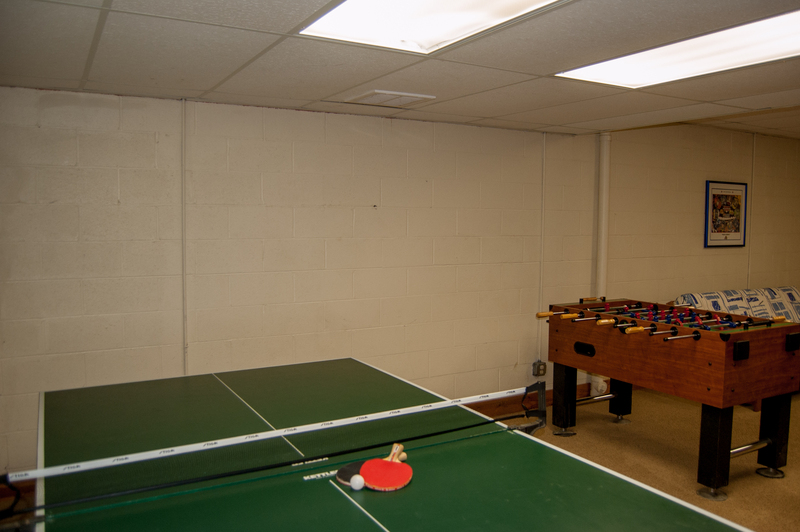 The game room downstairs provided a lot of entertainment for the kids." "Very nice, comfortable cabin. Slept 8 comfortably. View is gorgeous, straight west into lovely sunset each evening. " 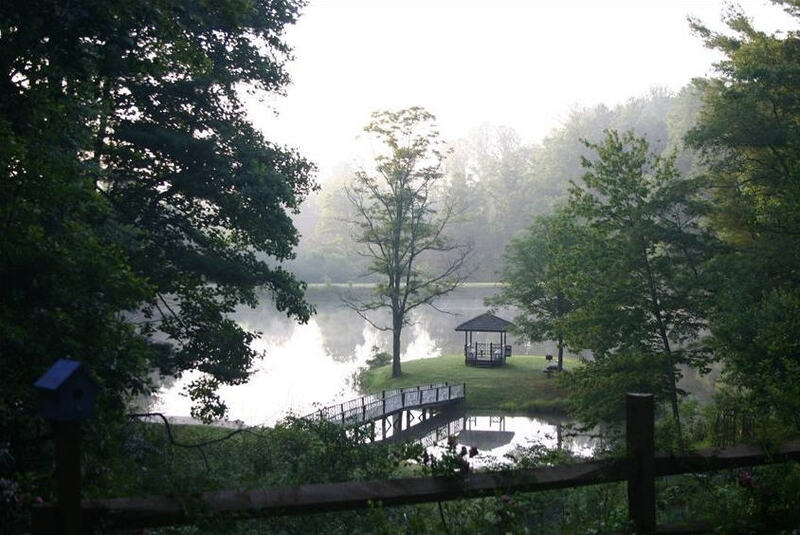 "My family had a great 4 day vacation on this property.The children enjoyed the game room. 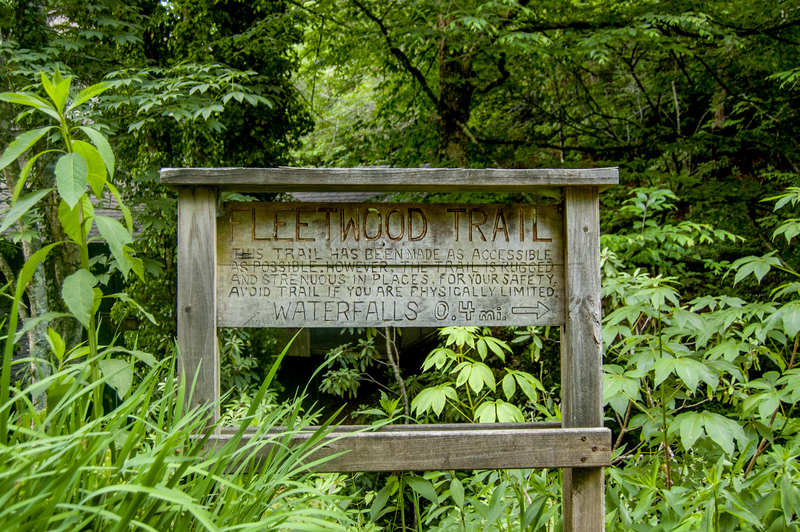 The hot tub was nice and big.We enjoyed the seclusiveness of the fleetwood falls area. Not a whole lot of space for the children to play outside but they loved the long walks we were able to take. The view from the porch was beautiful but restricted. Boone is less than 30 minutes away which was great for us. We spent a day at Tweetsie, shopped and dined downtown, checked out App State and enjoyed the crisp mountain air. We would like come back to Cabin Sweet Cabin in the near future. If I was coming in the winter 4 wheel drive would be a must. Once you enter Fleetwood Falls the roads are steep and narrow so Im not sure how they will be with snow on them." "Great cabin, easy access to W. Jefferson...if I am back in the area I will def try to get this one!!!" "Our cabin experience was very good. We were not there long and were out doing things mostly but it was easy to reach destinations and return to a nice place to stay." "Rented cabin sweet cabin for a weekend to enjoy music (merle fest) and have some down time. 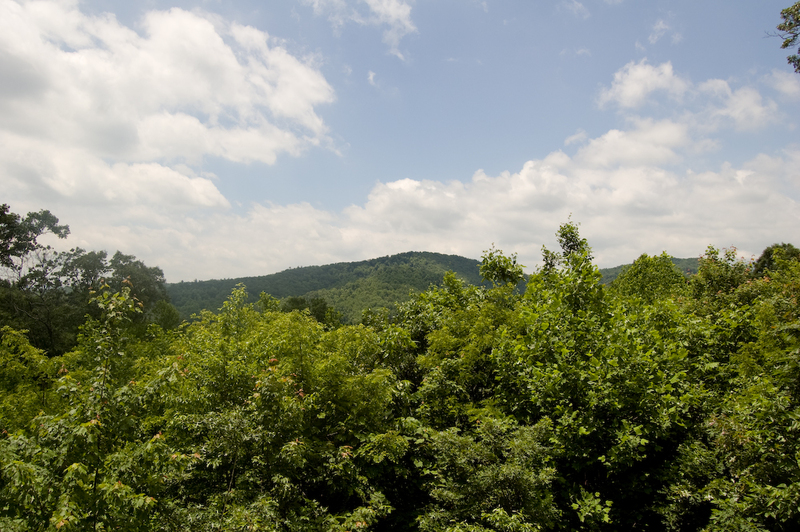 The cabin has awesome views as it sits atop the mountain inside of Fleetwood Falls development. we have stayed there many times over the years. This cabin is relatively new and is designed very nicely. It says it will sleep 10 but there were only 4 of us and no way could sleep or accommodate more than 6 as there isn't enough plates, silverware, etc. for more than that. There are beds for up to 10 but if you are going to eat there you would want to bring extra plates and especially silverware. I think there was 4 teaspoons and four knives! the master is located upstairs which I had hoped it was on main level, as my husband wears a prosthesis and although he maneuvers steps it would have been nice for him to have had it on the main floor and with a ramp going into the house I simply assumed it would be. Their are two bedrooms behind the kitchen, living area down and they share a full bath and then the half bath is in the basement game/family area where the pull out sofa is. We didn't use that area during our visit but did go check it out and although it seemed nice enough it was cold down there. Also they were digging up the yard on both sides of the house due apparently to some sort of plumbing problem they must have had so it would not have been safe for children but we didn't have any along so we were fine. Overall the house worked out fine for us." "This is second year in a row that we have enjoyed our anniversary at Cabin Sweet Cabin. Last year was our 10th anniversary and we wanted it to be a little special. We loved the surrounding area. The cabin was perfect for us. 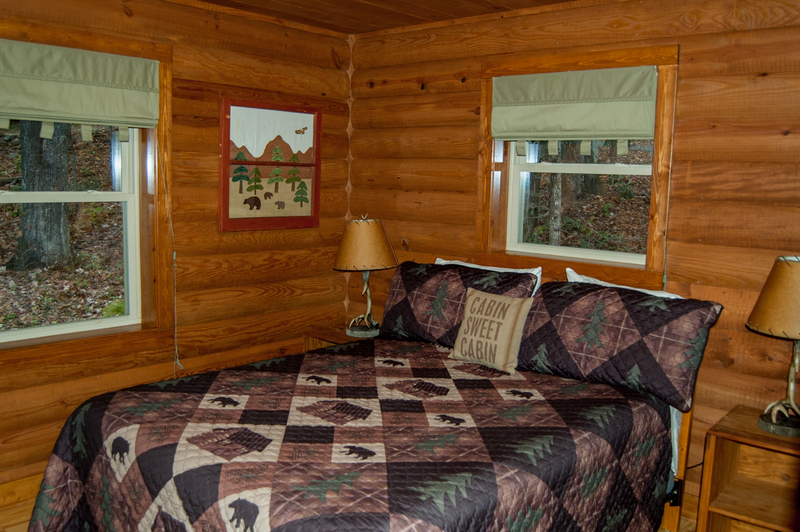 I highly recommend this for so many reasons"
"The cabin was super clean and we enjoyed our staying there. " "We were looking for a weekend get away to do nothing but relax and that we did. Very enjoyable, very relaxing, accommodations were very good. The only thing I would mention is we felt the kitchen was less than stocked. Since we didn't want to go anywhere, we cooked at the house. Cooking supplies were limited. We will keep this house in mind for other stays." "Really enjoyed the rental and all it had to offer. Appreciated all the things provided to make our stay hassle-free!" 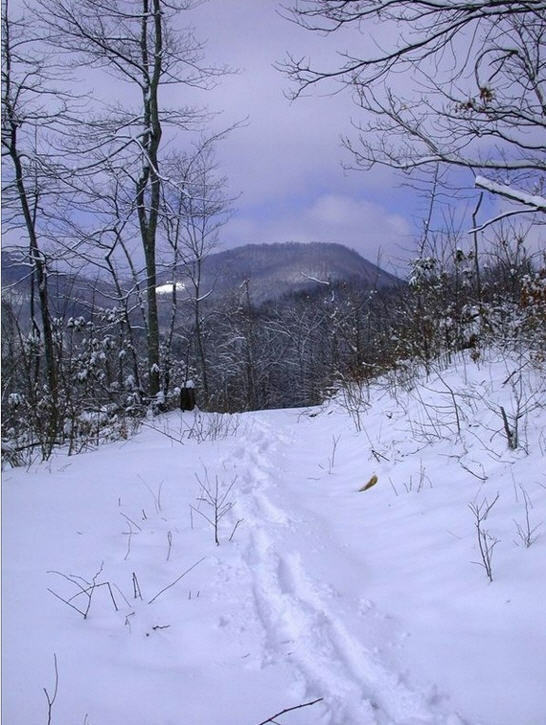 "The drive to get there was beautiful, the view from the cabin was perfect, the cabin was well equip, wifi, tv, furniture, hot tub, chinmey and the location was good, close to Boone, West Jefferson and even Virginia was within reach. I personally recomend a picnic on Mt Jefferson, safe drive to the top and nature at its best"
"This was our first time renting a cabin for our vacation. We enjoyed the extra time we had to visit in the area & enjoy the scenery. We enjoyed this area and the house was very nice, clean, and had extras (hot tub, game room) which we used each day. The company was quick to respond to problems (being locked out) which was also very helpful. Would highly recommend this agency and would definitely consider using them again!" "We rented the cabin for a weekend. It was wonderful. The interior was clean and had a great mountain ambiance. Made good use of fireplace, hot tub and grill. The view from the cabin was very nice. Would definitely go back to the place. Made for a very nice weekend for us!" "Cabin Sweet Cabin is very cozy. Even though there are neighbors close by, you have peaceful and quiet privacy as you use the wonderful deck/hottub/grill while looking at the spectacular view. The entrance to the cabin was also very accomodating for unloading the car and taking our 15 year old dog outside." "We thoroughly enjoyed our weekend spent at Cabin Sweet Cabin. We found the cabin to be comfortable and clean, and the view was outstanding! 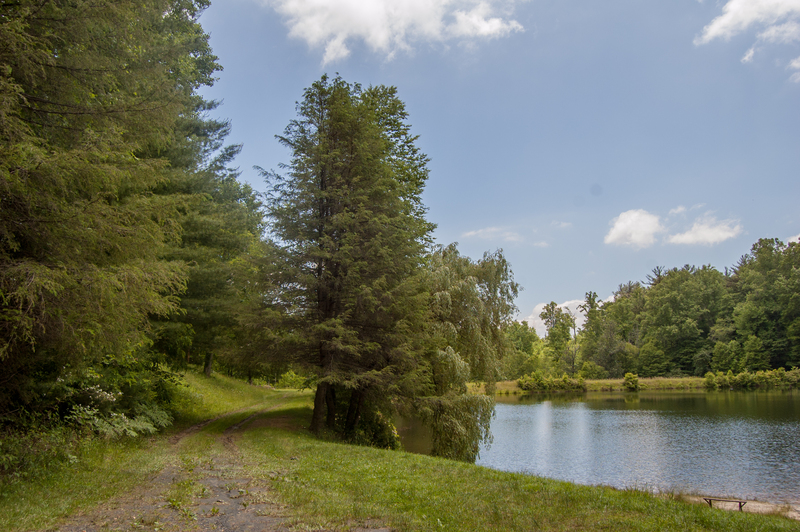 It's quiet and secluded yet very convenient to both Boone and West Jefferson. Apparently the Fleetwood Falls community has public beach/fishing access which we couldn't find so we will have to ask about that for next time. There were a couple light bulbs that were burnt out in the outside deck lighting, but everything else was wonderful. Jerrita was so helpful and we look forward to making a return trip!" "Cabin Sweet Cabin was everything we hoped it would be. Everything was clean and in good shape. The hot tub was very relaxing after a day of paddling. The view from the back deck was great. The distance to West Jefferson was pretty short and it was a neat little town to explore. Would like to bring back the whole family sometime." "We all gathered to celebrate my husband's big birthday, children,grandchildren, and the furry kids! So nice and pet friendly! Totally enjoyed the hot tub and porch! The house needs more towels and a baby gate. The downstairs playroom was fun but new ping pong paddles would be nice- great table though!Also could use a few plug-ins (Glade room fresheners)since it is a bit musty down there. Otherwise,nice place to get together! " "We would love to stay here again. What a great time!" "The cabin was very comfortably furnished! And it was beautiful and had a great view! I would recommend it and I would stay there again... I did notice that it was clean on the surface, but it was not deep cleaned before we arrived. And we were disappointed with the lake that was advertised. It looks like it needs a little love. Overall it was a great experience!!! " 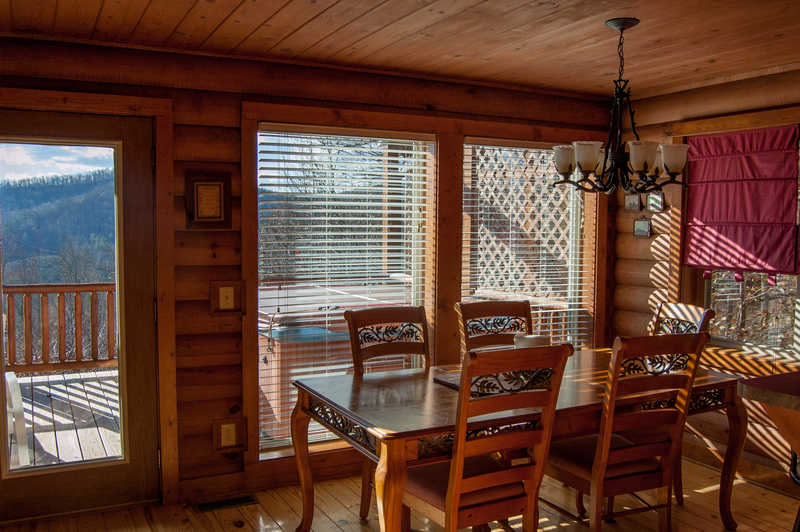 All properties are thoroughly cleaned after each visit and this cabin stays booked! With all the rain the lake area has gotten a little over grown but it's still a wonderful community amenity. "Beautiful cabin! Painless experience well handled.Thx"
"We couldn't be happier with this wonderful cabin. We definitely plan to return to the area and stay longer!! It was so peaceful, quiet, and simply beautiful. Just what the doctor ordered. The property had everything we needed and reminded me of what a wonderful experience the NC mountains can be. I have already recommended your company and this very cabin to family and friends! Thank You so much!" "Everything was in order with Cabin Sweet Cabin. It was clean and well equipped for our stay. We loved the space as well as the conveniences it offered us and our children. Will definitely recommend to friends and family. Will be back in warmer weather for sure!"